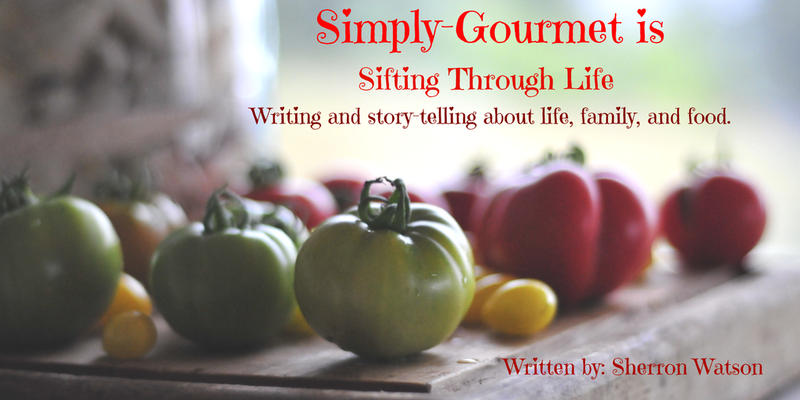 Simply Gourmet: Sifting Through Life: What's Your Story? 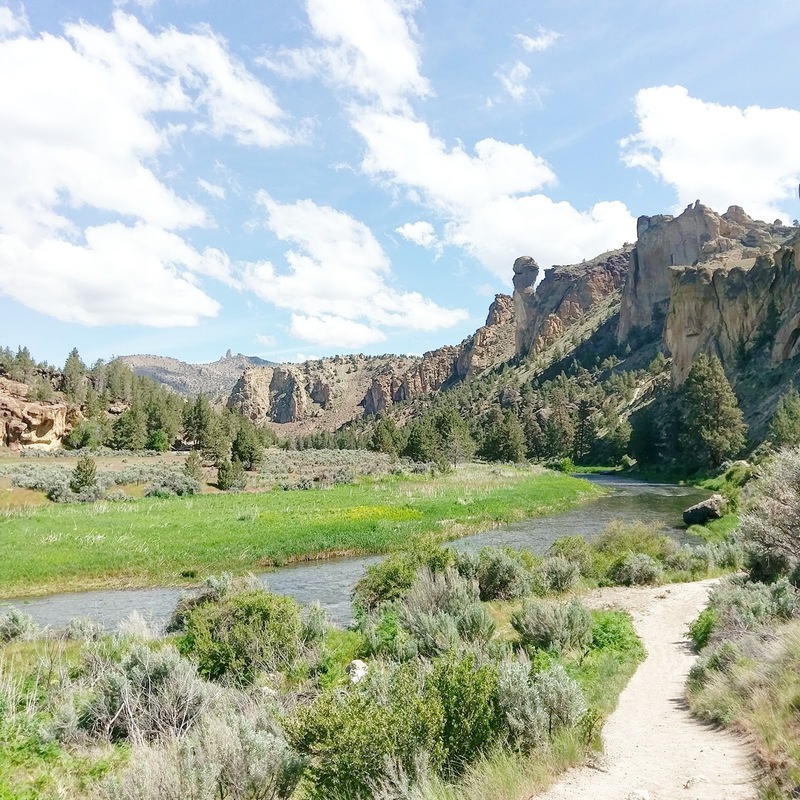 This was from a trip that Cory and I took to Bend by ourselves. This picture doesn't tell any story unless I give the details to my family. They would never know that this was taken outside of Bend or that we hiked Misery Trail or that the weather was a perfect 75 degrees. We all take a lot of pictures but I would like us to tell the stories behind the pictures taken so those memories are not lost forever. I know for me, I take so many pictures because of technology, that many of them go undocumented, printed off, or scrapbooked. They are kind of stored in cyber space and forgotten. I do a lot of writing for school (psychology major) and here on my blog. I tell a lot of stories. I love to write and share with others what I have learned, am learning, and my experiences. In fact, you know a lot about me if you read my blog. Some of my thoughts are small, while others get wordy and lengthy. My poetry is short, not always sweet, but a story never the less. Talking to other people we learn, or I hope we do, about their lives. Our lives are multifaceted with an array of memories, emotions, trauma, experiences, and so on. You name it and someone out there has done it or lived it. That's kind of exciting to think about. A story often has a beginning, middle, and an end. Most of us are not at the end portion quite yet, other than, we can speculate and dream. The end usually has a bucket list attached to it too. Embedded deep within the beginning and middle parts we have chapters and pages of story telling to share. Our stories attach us to our communities of friends and family. They are one way we are able to bond and create trust, authenticity, and empathy. When we see those we hang out with may have similar stories, it immediately gives us something in common. If our stories are different, then this gives us a chance to share and learn from one another. Kids love to hear a good story or be read a story. Why is this? I believe it's a vital part of their developmental states. They learn about emotions, life experiences, cultural differences, moral codes, and so much more all from a story or a book. I wish that I had spent more time listening to the stories from the older generations in my own family. There were not many stories with grand climaxes or mysterious characters, but I have heard enough, to wish I knew more. Today we take pictures. So many pictures. It has been said that a picture is worth a thousand words. I agree with this to a point. It is if you know the context, a portion of the circumstances, or even a few of the characters. What happens when you don't know much about the picture and the words that should exist are never found? I think about old family photos that sit in boxes and go untouched for years. Those stories die with those individuals and if no one takes the time to listen and ask, then those stories are lost. I believe we each have a story to tell. Do we wait to be asked before we tell it? Do we share it anyway with our kids? Should we keep a journal? I think this is up to the individual person to decide who they share their story with, but I do think to tell the story is important. The good news about being the story teller of your personal journey is that you get to pick and choose which parts of the highlight reel are aired and how much of it is shared. Not to mention the little bit about facts and embellishments. If you tell your story, more than likely, the facts will be straight and clear. We can each think of a person that we can look back on and wish we had asked more questions or simply listened more when they spoke. I think to a time when my great grandmother visited from Texas. She was very old and cranky. I was young too (dang it) but I was old enough that I could have listened more. I always wondered if she was really as ornery as everyone depicted her to be. If so, was it because of her family, where she lived, her personality, her circumstances, her unhappiness, or simply that was a character trait she was born with. I won't ever know because I didn't ask the questions to learn more about her story. Not all stories are happy or have happy endings. It is understandable why some would not be okay sharing or revealing too much of themselves about an unfortunate time in their personal lives. I think of my own situation and I agree with my comment. There are definitely scenes that I would not reveal to just anyone, but I have shared a lot with a few. 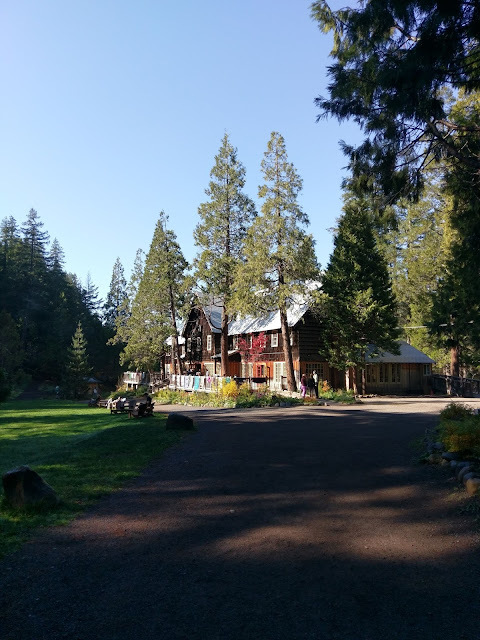 Those times that I have revealed a hardship, personal challenge, mixed feelings, or mistakes, have been moments of bonding and a coming together in the form of a deeper relationship. These personal stories are yours to express when you are ready to do so, if ever at all. My point in writing this piece is not to push anyone into telling stories to trigger negativity in your life, but, to challenge you to listen to the stories around you. Think of your story and then look for the story in others. Hear what they have to say. This Sifting Through Life is more to encourage us as humans to reach out, ask for the stories, and listen to the tales. One thing I am learning in school is that people like to talk, they like to hear their own voices, and they like to share parts of themselves. For some, it's not as easy, it may take more time and that is okay. Place your sincere interest in the person you are listening to and you will discover volumes of tales. Not all of them will be worthy of awards or movie scripts and I don't think this is the point. The point is to create a connection, open up your senses to new ideas and thoughts, to find common ground, to explore differences, and to share. Our stories allow us to share a part of ourselves that pictures don't tell, that our posterity down the road will forget or they don't know. The holidays are here. This is a great time to share and listen to stories told by friends and family. With this new awareness of connection through storytelling, notice how you might be listening better or even telling your story with more zeal and zest. Go find a story. Listen. Then, when they ask, tell them your story.